It is important that residents are aware about the safe handling of asbestos. Products containing asbestos generally do not pose a risk if they are in good condition and are undisturbed. It is when products and materials that contain asbestos are weathered, broken or punctured that harmful fibres can be released. Special precautions should always be taken, even for minor renovation works that don’t require Council approval. One in three Australian homes contain asbestos, which was used in a wide range of building products including fibro sheeting, roof shingles and guttering, vinyl floor covering and water drainage and flue pipes. All houses built before 1987 in Australia potentially contain asbestos products. Lismore City Council runs a Household Asbestos Disposal Scheme for home renovators to ensure that asbestos can be disposed of safely, protecting people and the environment. As part of the scheme, Council sells asbestos disposal kits for householders wanting to remove and dispose of up to 10m2 of bonded asbestos. Please note the kits are for householders only, and not commercial contractors. 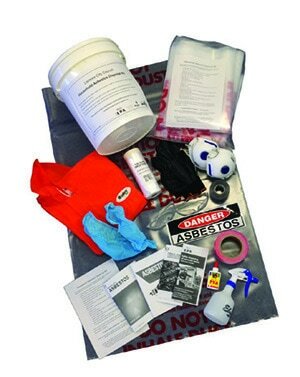 The kits include safety gear, plastic and tape for wrapping asbestos, information on procedures and requirements for the safe removal of asbestos, and a voucher for disposal at the Lismore Recycling & Recovery Centre. Household asbestos disposal kits are available from the Lismore Recycling & Recovery Centre for $30 which includes the cost of disposal. People must phone ahead at least one hour to dispose of asbestos and we do not take asbestos on Sundays. Phone the weighbridge on 6623 2009. If you have more than 10m2 (equivalent of three sheets of asbestos containing fibro) you are required by law to engage a licensed asbestos removal contractor. WorkCover NSW maintains a list of licensed asbestos removal contractors on their website www.workcover.nsw.gov.au. You can also visit the Asbestos Awareness website for more information on the dangers of asbestos and the importance of removing and disposing of asbestos safely. For further information, phone 1300 87 83 87. The Household Asbestos Disposal Scheme is an initiative of North East Waste, a voluntary waste group of Lismore, Kyogle, Richmond Valley, Tweed, Byron, Ballina and Clarence Valley councils working together towards cost-effective waste management solutions.